We have been making Doorstops!!!!!!!!! 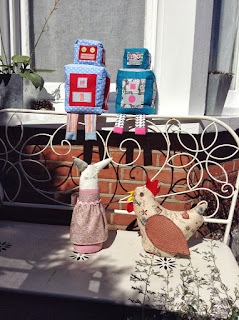 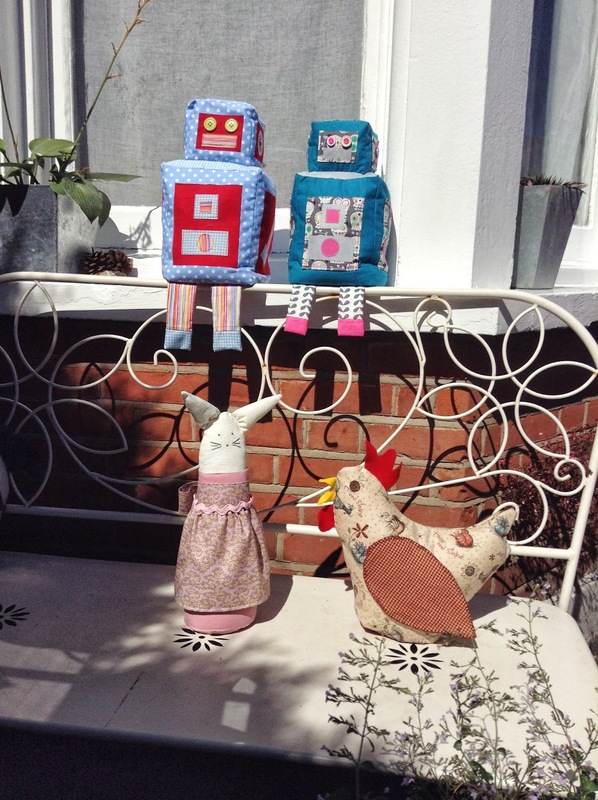 Meet the family, we have 2 robots, 1 rabbit and a hen. 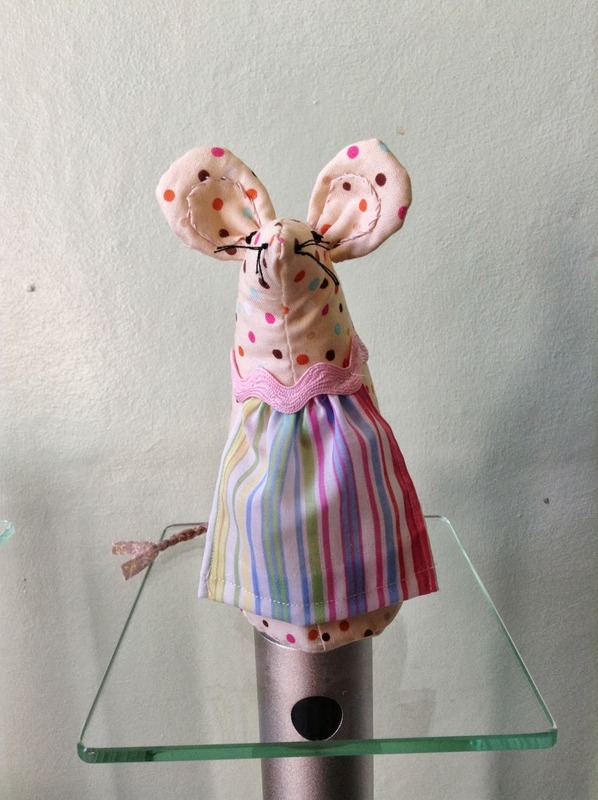 And not forgetting our mouse the paperweight. I got a wonderful book for my birthday all about Doorstops. 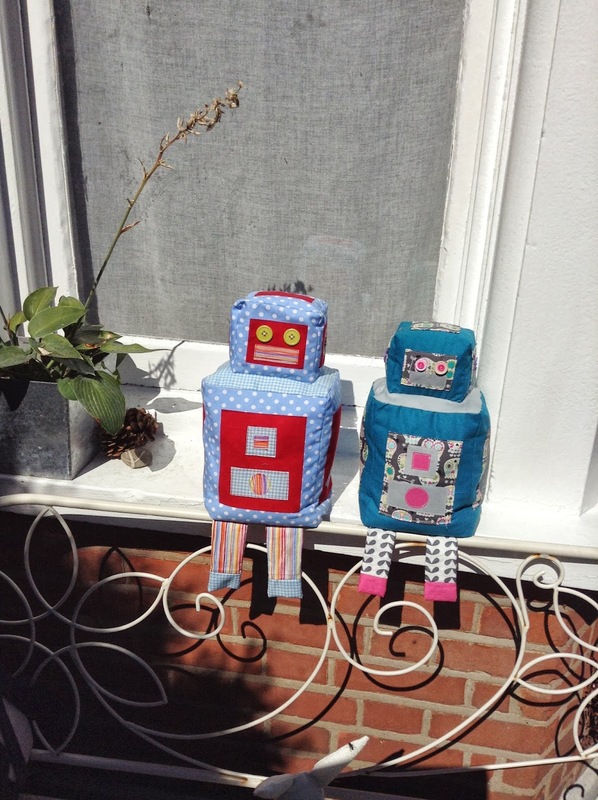 So I decided to make some. 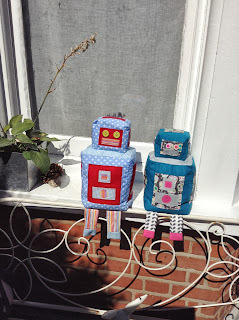 large robot and small robot. 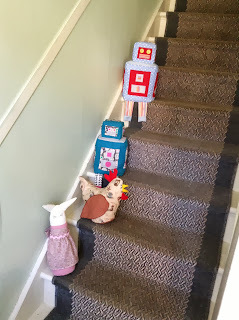 The patterns have to be enlarge to the size you require, which is helpful because some doorstops I have seen are lovely but very big and I would be tripping over them. 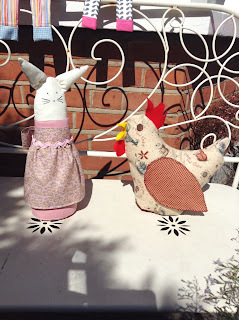 I shall be making more, because I just love them, soon my cabin / house will be full of fabric chickens, cube cats, doorstops and paperweights. Thank you for stopping by........ See you soon and enjoy the last few days of sunny August.